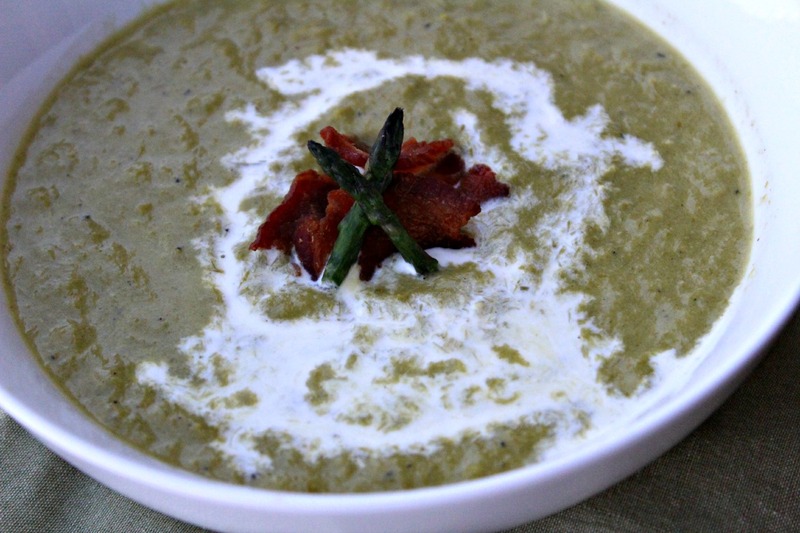 Cream of Asparagus Soup is the soup you never knew you needed. 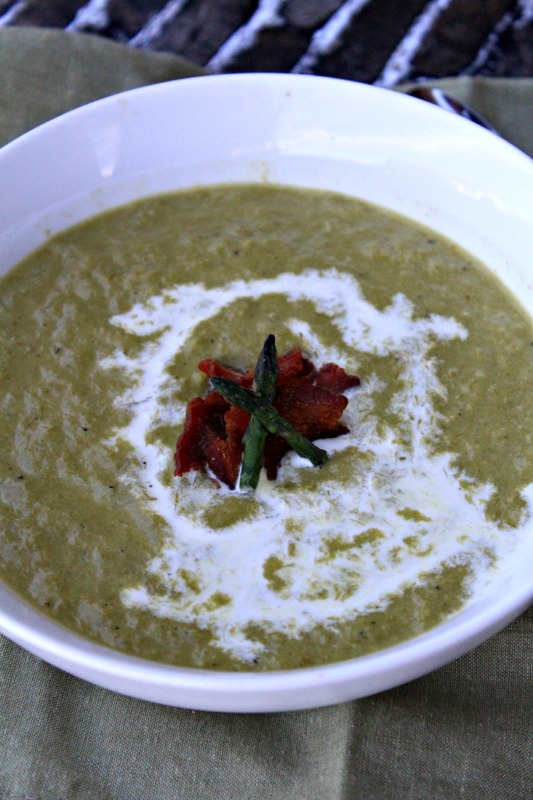 Creamy and delicious it’s the perfect soup for a chilly day or any day. Do you know that I had never had Asparagus until a couple of weeks ago at the Mixed Conference I attended. After having it, I can’t believe I’ve never eaten it before. It’s always been one of those vegetables I’ve told myself I hate without even trying. I’m looking at you broccoli. But this Asparagus Soup has converted me. 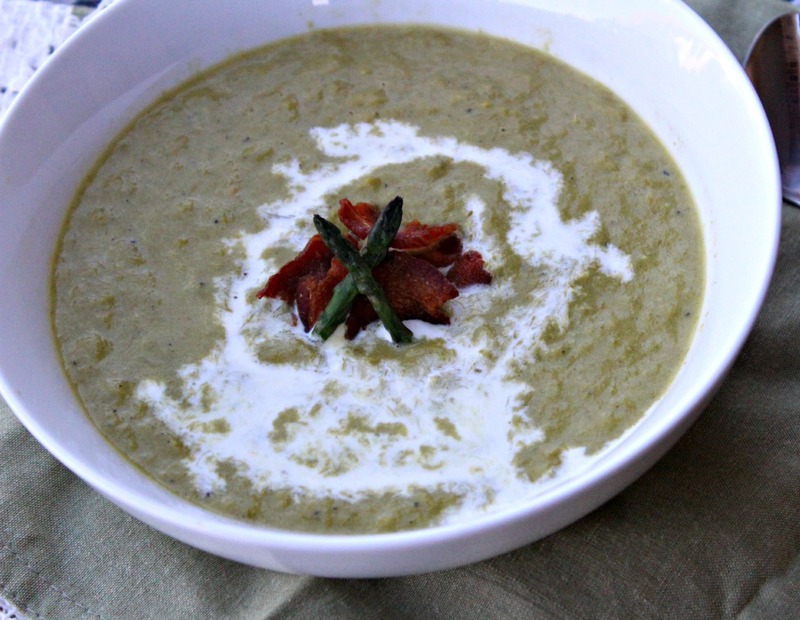 After eating a couple of roasted asparagus at lunch, I knew I wanted to try this Cream of Asparagus Soup I came across in the book I was reading at the time, Stir: My Broken Brain and the Meals That Brought Me Home (*Affiliate link) by Jessica Fechtor. I don’t even remember how I got acquainted with this book but I’m so glad I took the time to read it. This memoir touched close to home for me and I knew I had to review it. I have a cousin who also suffered a brain aneurysm when she was a young lady so reading about Jessica’s personal tragedy helped me to understand some of what my cousin went through. Jessica’s determination and tenacity while she was going through this was inspirational. She never was a woah is me person throughout the process, not even when she knew something was wrong even before the doctors did. Once Jessica got a diagnosis, she went through so much to get back to being herself. My mom also went though something similar when she was in the hospital – she had surgery and in recovery she knew something wasn’t right. The doctors kept telling her she was fine but she was insistent that she wasn’t. Something was wrong and she ended up staying in the hospital for a month. A couple of times Jessica also knew something wasn’t right in her recovery. It’s so important to listen to what our bodies are telling us. This book tells the story of Jessica’s journey of self-discovery and how food helped her through her recovery. I’m a fan of any story that leads to food and amazing recipes. That’s why I started the #ReadingFoodie book review portion of my blog. Food always brings people together and I’m so glad Jessica shared this, and the other recipes in her book. This soup is so creamy and the perfect fall weather soup. It’s also an excuse for me to use my Immersion Blender (*Affiliate link). Score! In a medium saucepan, cook bacon over medium heat until crispy. Remove bacon. Add onions to bacon grease and cook until softened. Add asparagus pieces and cook for five minutes, stirring occasionally. Add 2 cups of chicken stock and bring to a simmer. Partially cover pot and cook for 15 minutes, stirring occasionally. Use an immersion blender (or if using a regular blender - wait until contents cool a bit before adding to blender) to purée asparagus. Season with salt and pepper. Add cream and mix together. Add lemon juice to soup before eating. Add bacon pieces to soup for garnish. Recipe adapted from Jessica Fechtor.